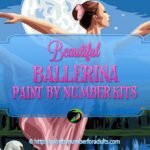 Are you looking for Christmas Paint Number kits? 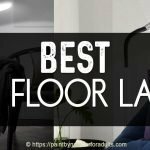 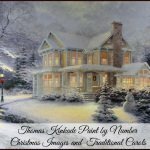 When the winter season and Christmas holidays come around many of like to stay cozy and warm in our homes working on our hobbies. 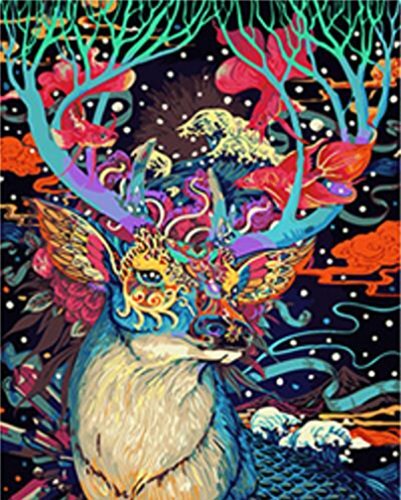 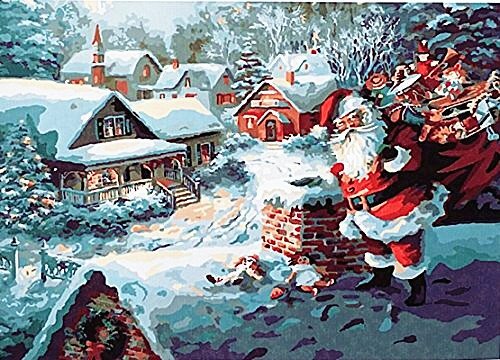 If your hobby is doing paint by number kits than this is the perfect time to indulge in Christmas paint by number kits. 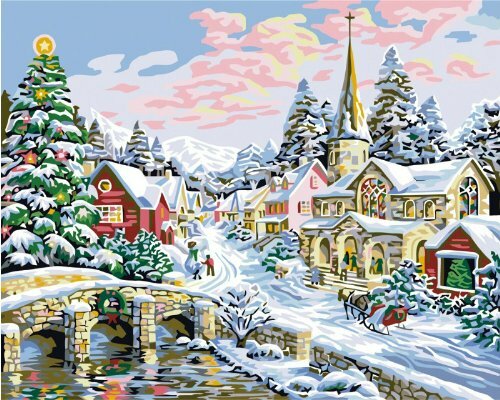 There’s nothing like working on a Christmas themed painting to bring about the Christmas spirit. 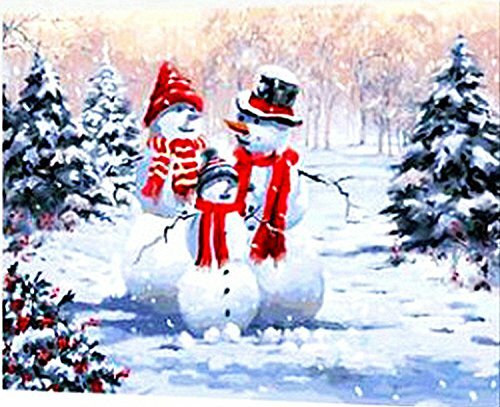 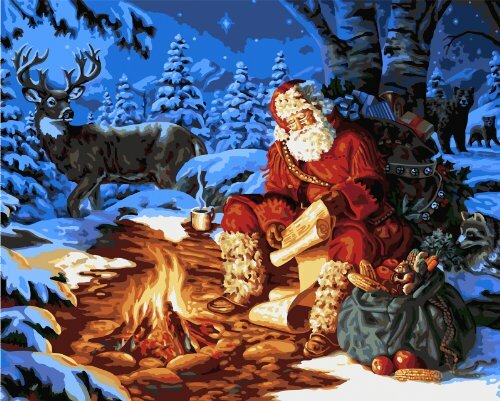 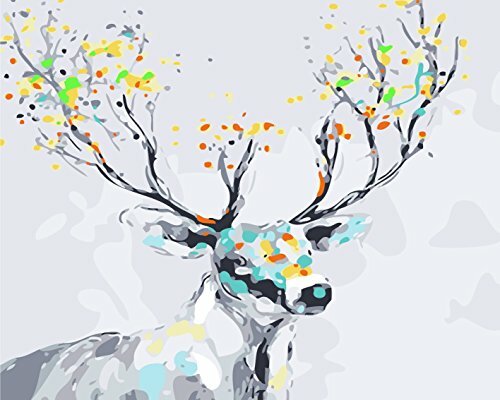 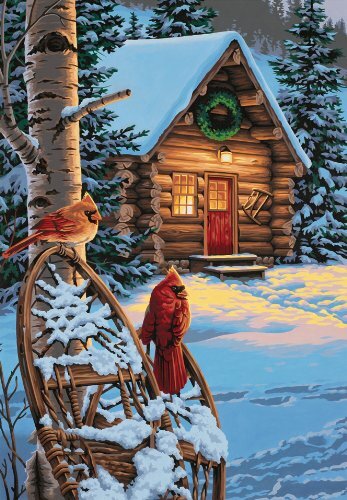 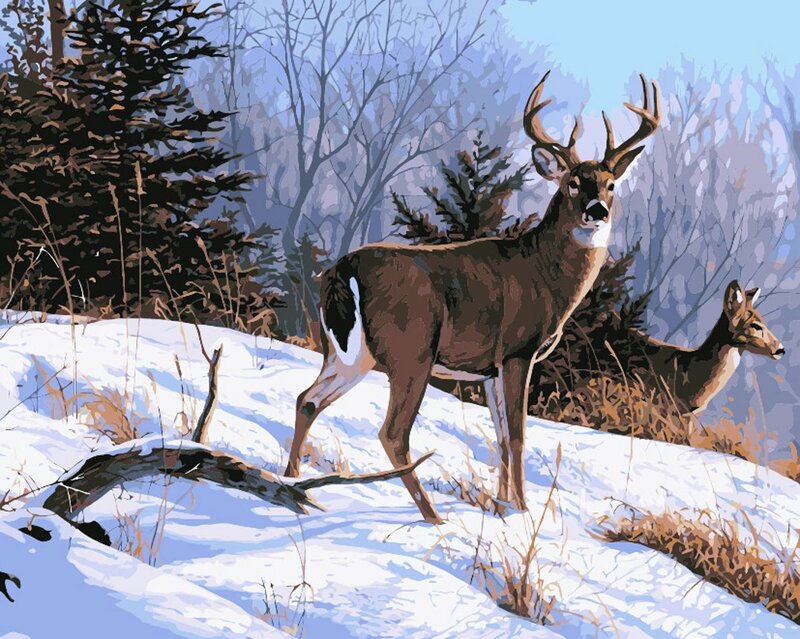 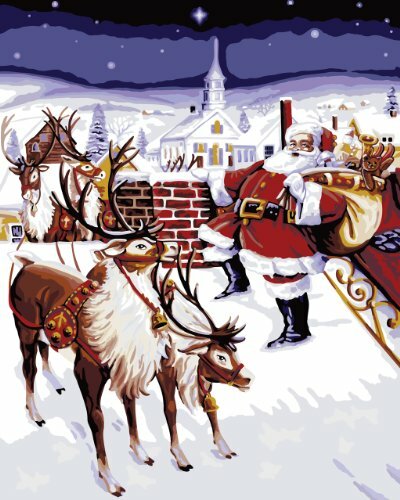 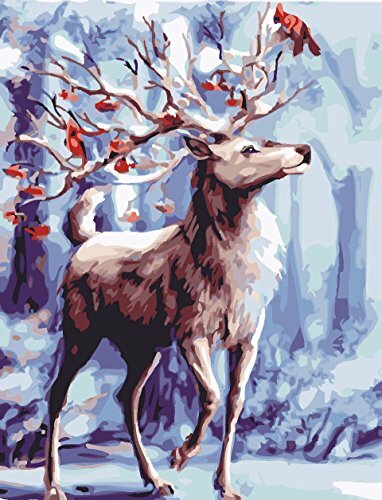 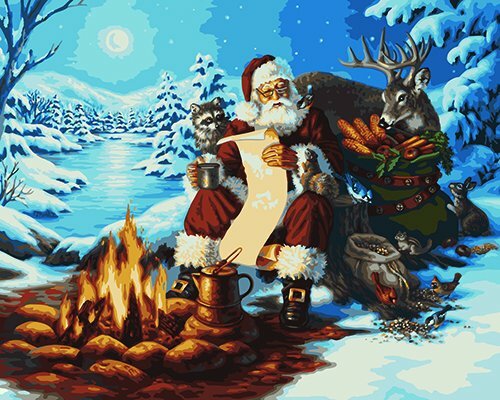 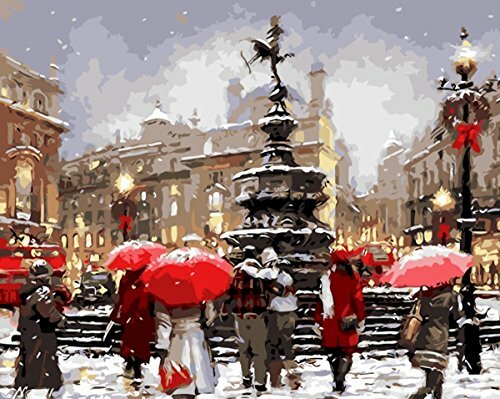 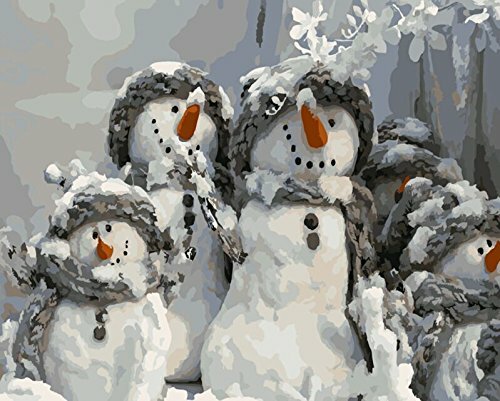 Below I’ve found a number of winter and Christmas themed paint by number kits for you try. 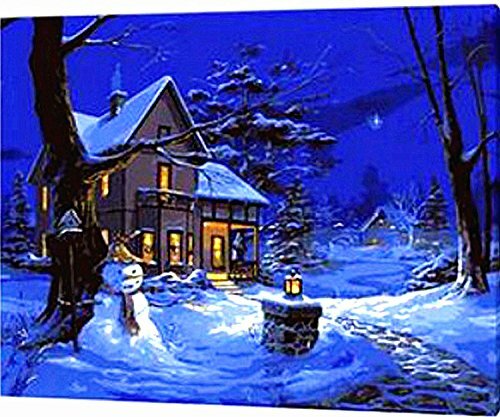 Some with Santa and his reindeer, others cozy homes all decked out for the holidays and still more with wintery scenes of farms and snowmen. 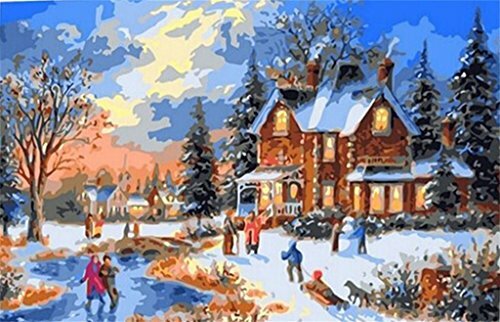 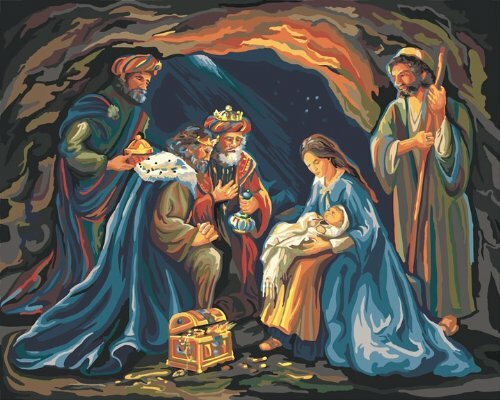 A beautiful Nativity paint by number is sure to please the heart of someone and bring the true meaning of Christmas to light. 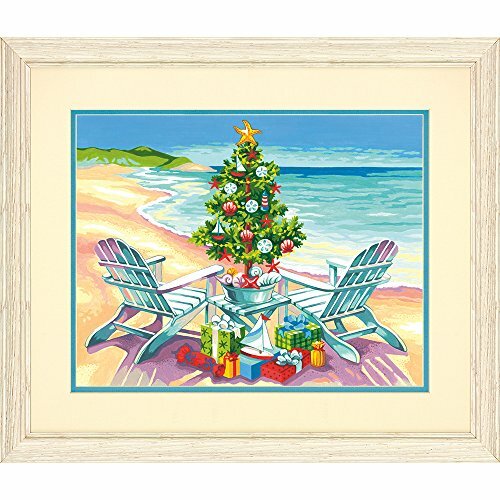 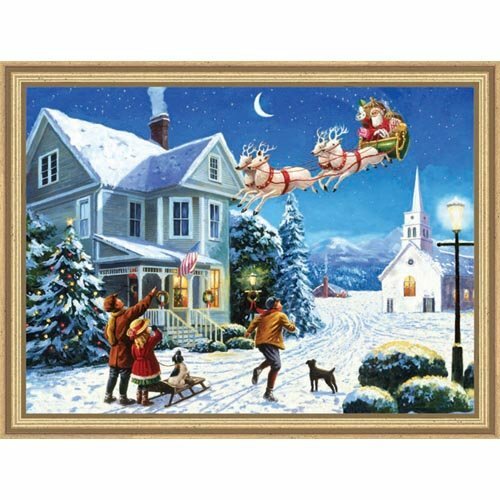 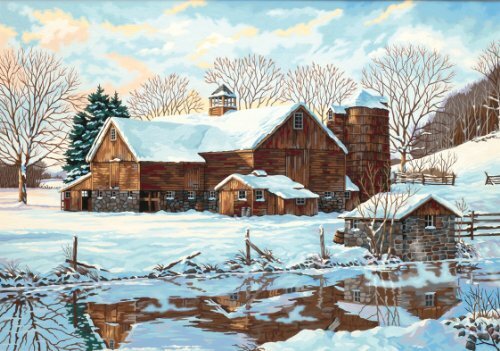 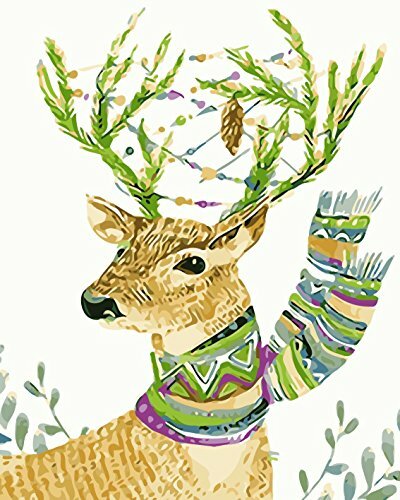 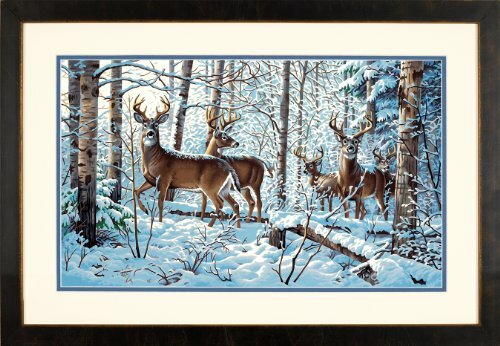 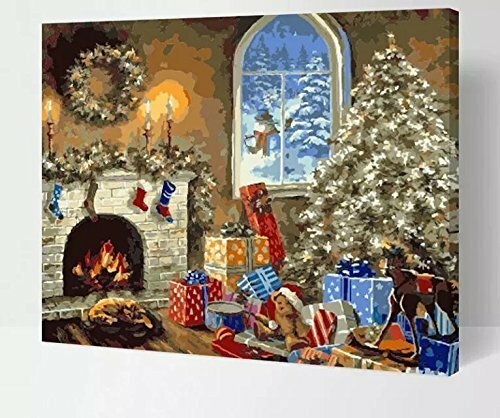 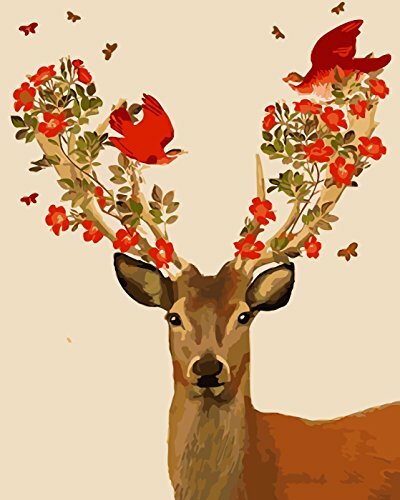 A great tradition for the holidays would be to paint one Christmas themed painting each year and hang it up to add to your festive Christmas decorating. 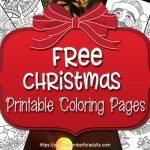 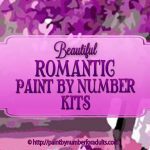 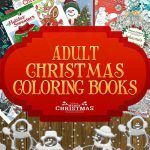 Below you will find a really a nice variety Christmas Paint Number kits to choose from and as I find more I’ll be adding them. 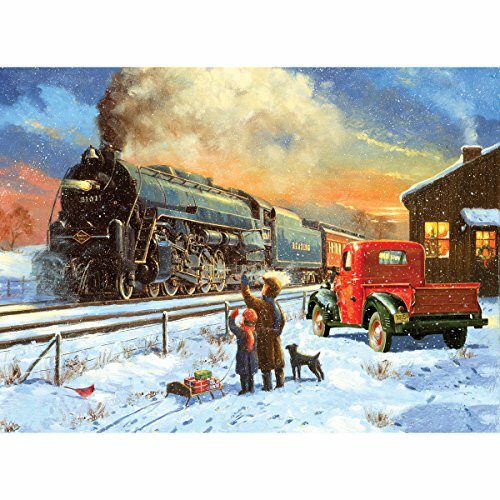 Ready To Ride is a nostalgic Christmas Paint By Number Kit. 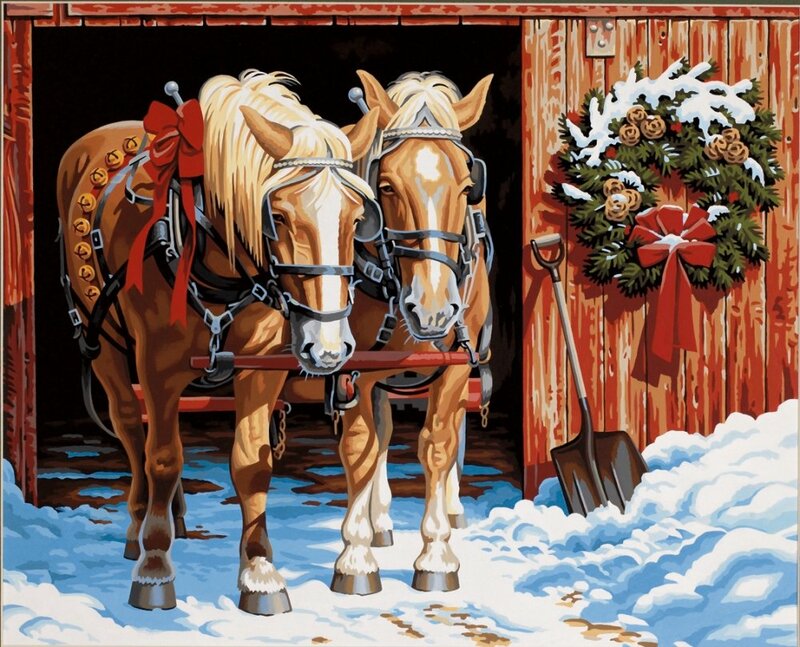 In this Christmas paint by number kit you’ll find find a sturdy pair of horses all decked out with jingle bells and bows making them all ready for a sleigh ride through the snowy country side. 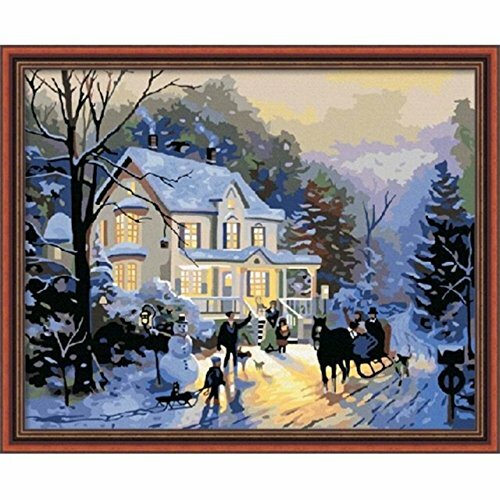 This 20 inch by 16 inch paint by number kit comes with eeasy-to-follow instructions, pre-printed textured art board, a paint brush and enough high- quality acrylic paints to complete your painting. 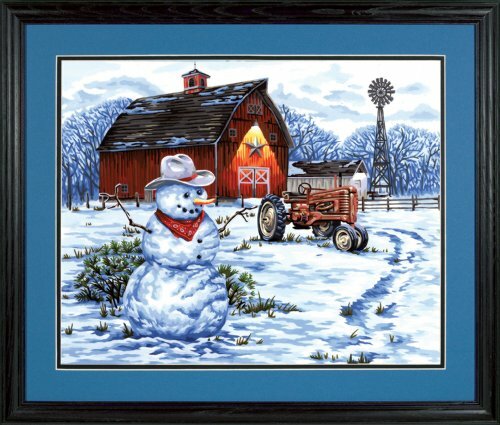 This would make a lovely Christmas gift for someone! 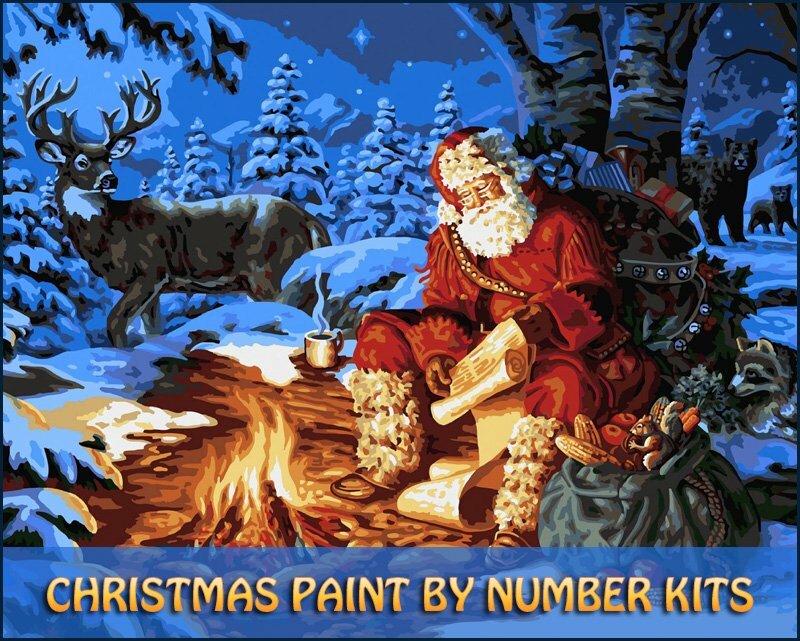 Whether you are buying one of these Christmas Paint By Number Kits for yourself or as a gift I hope you have plenty of enjoyment.